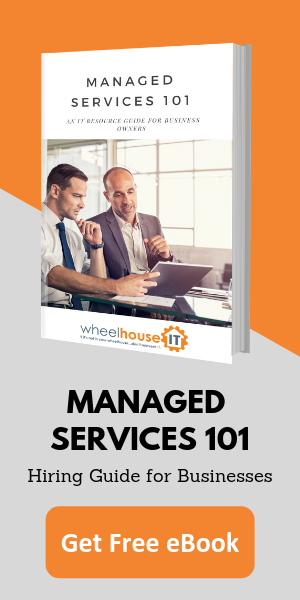 Our Co-IT programs is a true partnership between WheelHouse IT and your internal IT department. Because we cross pollinate hundreds of companies we can help give your internal team the confidence it needs to move forward to that new cloud product or VoIP system you have been hearing about. We can implement the right security products or Disaster recovery techniques learned from managing hundreds of environments. Do you need your network Monitored and Patched but not supported? Do you need a Ticketing system to help manage your tickets? Do you need tools to help Automate your network? Whether IT support is your role in the company or part of the department you manage and are looking for a solution to a gap in your IT strategy, give us a call and we will coordinate a meeting with our client managers and high-level engineers to help!